Interview on Arts Talk – 7th December 2011 – https://www.youtube.com/watch?v=xtIz3amV_HI Go to 8.22 on the time bar. Leslie Sanches Hodgins Yes. We’ve read it a few times. Leo thinks it’s funny. Book review: This review means the world to me. 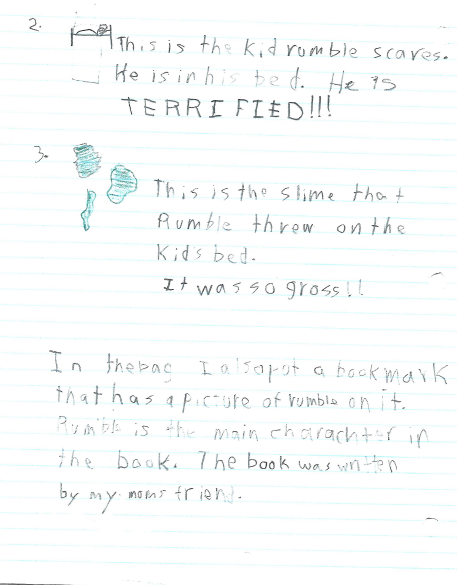 A child’s honest review of Rumble’s First Scare. Tansy and Crispin help all the forest animals, with their ailments or injuries, no matter how big or how small. The healing potions and practices they use were handed down generation to generation. Living in a home built within the roots of a magnificent oak tree, the two sprites and their animal helpers, remain hidden from human eyes. Crispin wishes to find a long ago lost cave filled with ancient healing books and potion recipes. No matter where he travels in the forest he searches for it. Always hoping… Will he find it? What is the story behind the cave? When humans come into the forest – what happens? My daughter is reading this book. 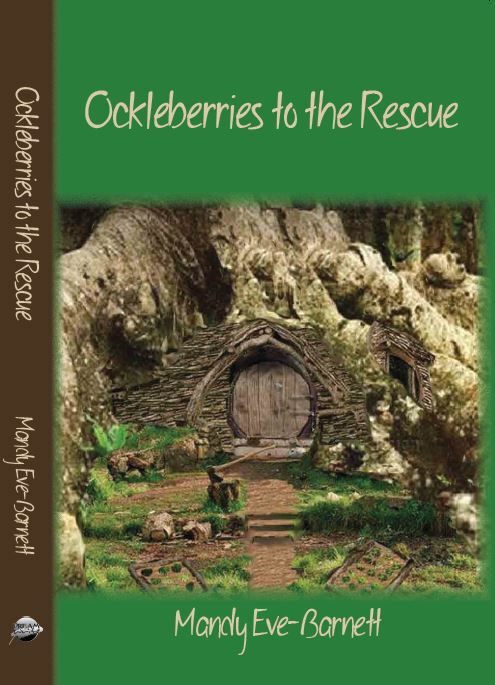 She says “I love the stories of how Tansy and Crispin help all the forest animals.” My daughter is nine and I recommend the book for the ages 8-12. Two thumbs up. A young fan happy with her signed copy of Ockleberries to the Rescue. Words in the Park 2016 – Clickety Click launch. I made the exploding planet & had scaly toques made too! I have a story in this lovely anthology. New YA novella – Creature on Planet Toaria. creature intent on invading their planet. I found your blog as part of the WD October Platform Challenge. Wishing your books had been around back when my two children were young. As homeschoolers and avid readers, we frequented the local libraries and literally carted cartloads of books home. We devoured all kinds of books-fantasy, fairy tale, historical fiction, just plain funny ones, classic tales, etc. I just know my kids would have LOVED Rumble, Tansy and Crispin. Heck, I love them already and haven’t even read the books…it’s just that easy to fall in love with your characters!! So, I chose to share this post from my blog about some of the fun ways we learned during our summer vacation-fun + learning = extra days for our school log!!! Wishing you continued success writing unforgettable characters who inspire, engage, and delight children!!! I was brought up to love the natural world and I have always enjoyed the magical elements.